Packing a lunch for yourself or your loved ones might be a tedious and boring task. Perhaps, you don’t enjoy this activity because you simply don’t know how to pack lunch effectively. Do you feel like you need something that could motivate and inspire you? Check out the list of cool products that can change the way you treat the usual process of packing a lunch. If you feel like you’ve had enough of searching for a matching lid to your lunchbox every morning, you must give a try to the innovative very first lidless lunch box. Yes, you’ve heard it right and the container that doesn’t have a lid does exist. Instead of the lid, the insulated membrane takes care of your freshly cooked lunch. After filling the container with your meal, twist the flexible inner sleeve to seal the box and avoid any spillages whatsoever. The food can stay hot for up to 4 hours (and cool for up to six hours). The soggy wilted salad is never an option for a tasty meal so separating the components of a healthy lunch is a must if you want to keep your food fresh for a few hours. Carrying several containers with you might be inconvenient since it will take extra space in your bag. Mepal Lunchbox Ellipse Duo can help you solve this issue because in its separate compartments you can carry sandwiches, fresh greens, vegetables and various sauces without worrying that the components will get mixed and the dish won’t be as tasty as it was intended. This is a lunchbox that will perfectly suit anyone who strives to live a healthy lifestyle while being on the go. If you’re one of those who realizes how important it is to take care of the environment, this product might get you interested. The wrap set from Bee’s Wrap is a great alternative to sandwich bags and plastic containers since the eco-friendly set is reusable. The wraps can be washed multiple times and may last for up to one year. Once the wraps are ready to be thrown away, you can easily recycle them since they are compostable and safe enough to be even used as a fire starter. If you want to store food naturally, Bee’s Wrap Lunch Pack has all chances to become your ideal eco-friendly kit for the on-the-go-eating. There’s no need to give up your habit of drinking your favorite beverage with a straw if you are convinced that it is our responsibility to protect our planet from environmental crisis. Reusable straws from MalloMe are safe for the planet since they are made of stainless steel so they do not contribute to the plastic waste issue. They are food-safe, rustproof and can easily last for a decade. MalloMe straws are unique and can be purchased in both bent and straight variants. They come with soft silicon tips and two brushes for easy cleaning. There’s no doubt that a lunch box is all about convenience and functionality but why not to make your usual lunch more stylish? A Prepd Pack looks cool with its slated bamboo case and unique smart design. This is a lunch box that you won’t be ashamed to carry and you can be the envy of your colleagues at lunchtime. Pack your tasty meal in style with Prepd Pack that will make prepping, packing and even tracking your lunch so much easier. Kickstarting healthier lifestyle has never been so simple due to a smart combination of containers, which you can mix and match according to your liking. Intelligent app with recipes that suit your diet can help you make your lunch truly enjoyable. 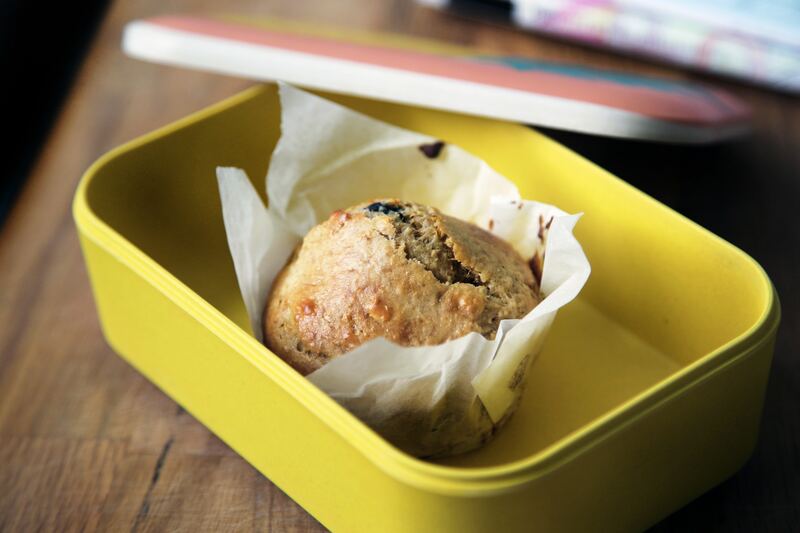 Finding a lunch box that is perfect for your needs is great but if it doesn’t include space for cutlery, you might find it complicated to look for ways of carrying your kitchen utensils when you head to work. Rerii stainless steel travel cutlery set can easily solve this problem. The flatware set that includes chopsticks, a spoon and fork is designed to fit in the small tube, which, in its turn, is meant to be stored in the fabric case so that you could travel safely.